Patron of 3 Transport Association (Inc). Colonel Michael Miller was born in Sydney in 1959. He was educated at Ashfield Boys’ High School and the University of Sydney. He is a Bachelor of Arts (1980) having read History and Government and is also a Master of Education (1983). He enlisted in the Army Reserve in Sydney University Regiment in 1977 and was commissioned in June 1981. As a Lieutenant, he commanded a Water Transport Troop in the 10th Terminal Regiment and as a Captain, he was SO3 Plans, HQ 2 Div Tpt and Operations Officer, 3rd Transport Squadron. In 1988, he was a recipient of the Prince of Wales Award and undertook training with the Gurkha Transport Regiment in the British Army and HQ 73d Infantry Brigade in the Ohio National Guard in the USA. He was promoted Major in 1991 and had three successive sub-unit commands. He was OC ARES Component, 11th Movement Control Group 91/92, OC of the Officer Cadet Company, SUR 93/94 and OC 3rd Transport Squadron ’95. From 1995 to 1999, he served on full time duty/Short Service Commission in the ARA. Successively, he was SO2 ‘Army 21’, Plans Branch, HQ Trg Comd, SO2 Coord, HQ Trg Comd and Military Assistant to the GOC Trg Comd. In 1997, he was awarded the Field Marshal Sir Thomas Blamey Memorial Sword for his performance on the Intermediate Operations Course. In 1999, he was promoted Lieutenant Colonel and posted as the SO1 Trg, HQ 2 Div. Colonel Miller commanded the 5th Combat Service Support Battalion in 00/01. Subsequently, he was the SO1 Plans, HQ 2 Divin 02/03 and the SO1 Soldier Career Management in APA-S in 04/05. He was promoted to the rank of Colonel and appointed as the Commandant of the Land Warfare Centre (NSW) in January 2006 and served in that posting until June 2008. Subsequently, he has been the Assistant Commander of the 5th Brigade and from January 2009 until October 2010, he was the Assistant Commander–Capability Development of the 2nd Division. In November 2010, he was posted as the Colonel-Policy in Cadet, Reserve and Employer Support Division within the Vice Chief of the Defence Force Group. Since April 2013, he has been the Deputy Commander, Australian Army Cadets. As an extra-regimental duty, Colonel Miller was an Honorary Aide de Camp to the Governor General (Apr 08 - Jan 15). He had previously served as an Honorary Aide de Camp to the Governor of NSW from May 1996 to June 2001 and as the Honorary Military Secretary and Comptroller from July 2001 to December 2005. 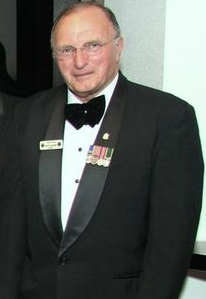 In 2003, Colonel Miller was awarded the Centenary Medal in recognition of his service in the NSW Vice Regal Household. In civilian life, Colonel Miller works in the aviation security industry. Since June 2007, he has been the National Manager–Security and Resilience for Airservices Australia. Previously, he was the Manager–Emergency and Special Operations for Sydney Airport Corporation. In terms of overseas experience, he was seconded to Athens Airport Corporation in 2004 for the Olympic operational period and in Jan/Feb 05, he deployed with the Australian Government mission to Phuket in the post tsunami operation. In his civilian capacity, he serves on a number of statutory committees including the NSW Disaster Victim Identification Committee. Colonel Miller is the Patron of 3 Transport Association (Inc). I have known Kevin since 1966 and have found him to be a truly dedicated person in both military and civilian service. He is hard working and has always thought of others before himself. WO1 Kevin Connelly (Retd) is to be commended for his unselfish and continuous dedication.